Have a Handyman apply your Wellesley Hills Caulk! As energy prices continue to escalate, many Wellesley Hills, Massachusetts homeowners have hired J. Mota Services to seal their homes against extensive leaks, using caulk. For 12 years, J. Mota Services has helped Wellesley Hills homeowners fill major and minor leaks around windows and doors, to help maintain a comfortable indoor temperature and reduce Wellesley Hills utility bills. 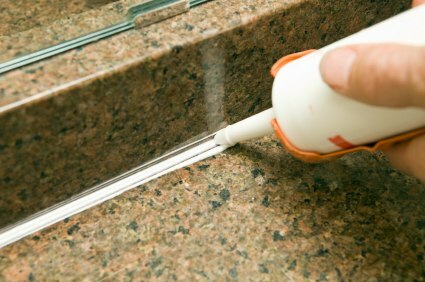 J. Mota Services's Wellesley Hills handymen understand that as houses begin to grow older, the old caulk needs to be replaced with new caulk, especially around all openings, doors and windows, as well as in humid areas such as the shower stall or bath tub. J. Mota Services's handyman do the job correctly, by scaling, scraping and stripping away old caulking from Wellesley Hills buildings, out of every crack and gap, to ensure all dirt and mildew is completely removed. They touch up and prepare the area thoroughly before applying new caulk, to ensure your Wellesley Hills home is airtight against leaks around all windows and doors, which helps Wellesley Hills homeowners reduce energy costs. Affordable – Since 2007, J. Mota Services has provided caulk in Wellesley Hills Massachusetts at affordable, competitive rates. Call (781) 281-9282 to receive your free quote on caulking your Wellesley Hills home today!